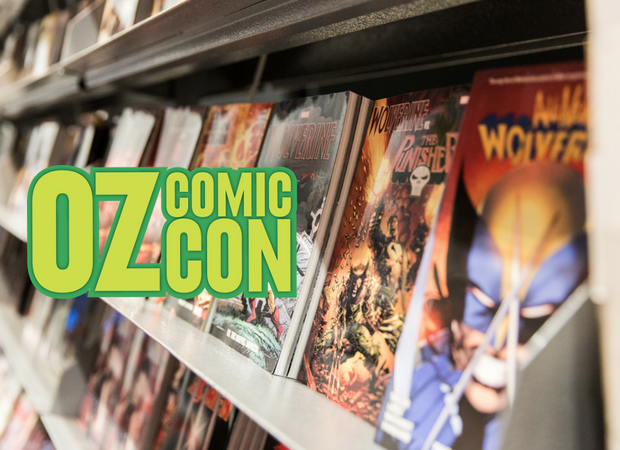 The extravaganza that is Oz Comic-Con is BACK for 2018. 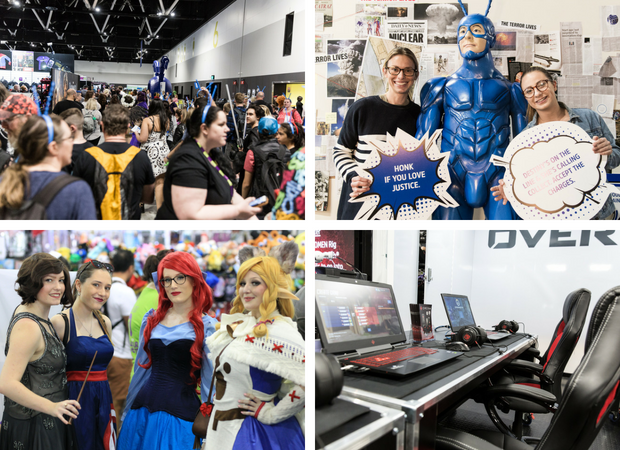 Starting off in Melbourne on the Queen’s Birthday Long Weekend (June 9th – 10th), Oz Comic-Con is a perfect day out for the entire family. With everyday people transforming into their favourite Superhero and Super Villain Cosplay characters, Oz Comic-Con provides an eye-catching, entertaining and energetic atmosphere for every mini-hero out there! 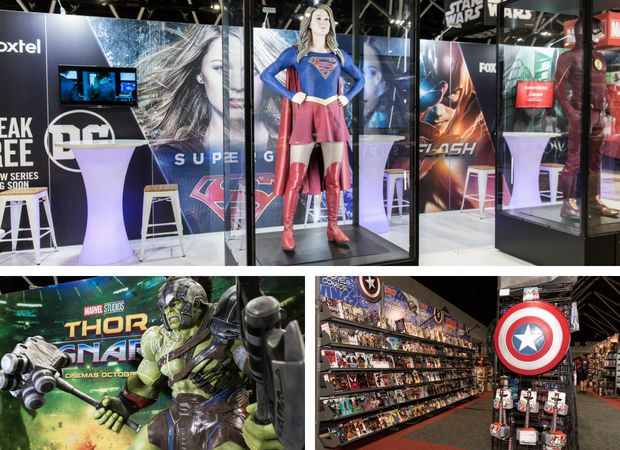 I love all things comics, pop culture, marvel, DC, super heroes…you get the picture, so I cannot wait for the Sydney Oz Comic-Con. It will be a great day out for the family (we are all Comic-Con fans!) the kids can try their hand at comic art at the kids’ comic artists workshops, or even get into cosplay for the Kids Cosplay Parade. With plenty to do for everyone, it is the ultimate creative outlet. Comic collectors can head over to the comic grading area, and to the main stage for guest panel discussions. Anime fans will have their knowledge tested with trivia, and die-hard cosplayers can kick off their journey to take home the international title, in Melbourne’s Championship of Cosplay heat. Gamers will be getting a work-out too, with Couch Warriors, putting their skills to the test in daily tournaments of new and classic titles. And this is only a preview of what’s on offer! Melbourne is up first with Sydney and Brisbane not far behind, rolling around in September school holidays of this year. A limited advanced ticket offer is available now online, Adult Tickets start from just $32.50 and EVERY adult ticket purchased includes one complimentary Child Pass (Under 12). Advance tickets are now on sale – save 24% with General Admission Single Day Passes and 16% with Weekend Passes! General Admission tickets will be $42.50 at the door, children under 12 are free. There’s also a variety of online exclusive tickets on-sale, while allocations last. 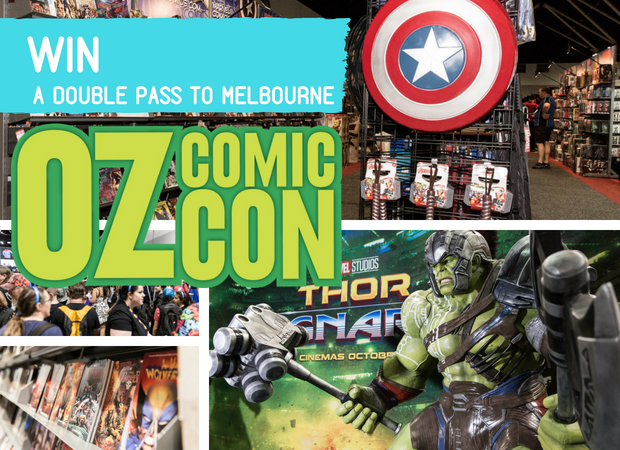 Win a double pass to the Melbourne Oz Comic-Con! Tell me below in 25 words or less – if you could only do one thing, what is the one thing you must see or do at Melbourne Oz Comic-Con if you win the double pass? Competition ends 6 June 2018. We’re flying into Melbourne tomorrow. What a great opportunity to put our gaming skills to the test in the tournaments. Championships of Cosplay. The work the contestants put into their costumes is insane, I’d love to see them in person, and cheer them on. Attempt3: Championships of Cosplay. The work the contestants put into their costumes is insane, I’d love to see them in person, and cheer them on. The Championships of Cosplay. I’ve been watching the competitors preparing via social media, and would love to seem them in person and cheer them on! A must-see for me would be the Championships of Cosplay. I’ve been watching a few of the entrants put together their ensembles for months, and am always floored and inspired by what is created, so would definitely want to see them completed in real life. We would have to checkout artists alley area as love to meet comic book artists as teenage son loves comics!